I’ve decided to create a series specifically focused on promoting Black owned businesses. Every Friday, I will review a black owned brand, company, or event. My hope is that I can educate some people about the many options available to support Black owned businesses. So, welcome to the first “Black Friday” post! I’m glad I decided to check it out. I went onto the site to find a plethora of Pro-Black shirts, sweaters, hats, and more. Needless to say, I was more than excited about spending my money. 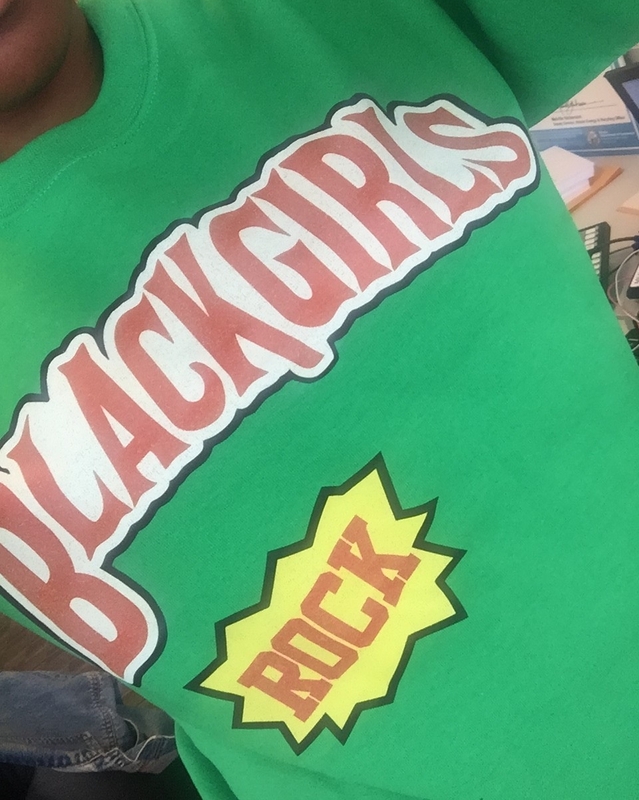 I decided to purchase a green “Black Girls Rock” sweater that was inspired by the Backwoods logo. The processing and delivery took longer than I would have liked, but that’s all explained to you once your order the items. The shop is ran by one guy and he explains that processing the order might take a week or two. Other than me stalking the mailman for my sweater, the buying process was smooth! I even made a mistake and wrote in the wrong shipping address, but customer service was a dream. Check out my sweater below and be sure to grab one for yourself too! This was taken about 5 seconds after the package arrived in the mail... yes, I was that thirsty!